Are Markets Ready for an Aggressive Agenda from the Fed? 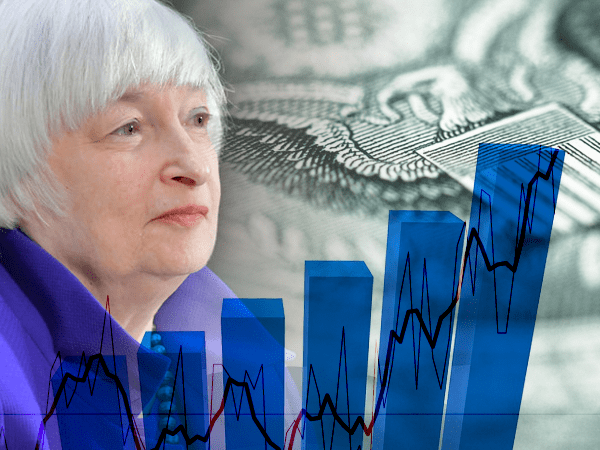 Home » Are Markets Ready for an Aggressive Agenda from the Fed? Newly released minutes from this month’s Fed meeting outline an aggressive agenda from our nation’s central bank that could upset markets in the months to come. Officials insist the plan is cautious, and stocks rallied initially on the news. But how safe should Americans feel long-term? We discussed the “stealth” rate hike last month when the Fed confirmed it would be pursuing its balance sheet reduction policy. But no further details were known until the minutes from the Fed’s most recent meeting were released. Now we have a more thorough framework for how Fed officials will go about the process. As securities (mainly bonds) on the Fed balance sheet mature, monthly caps will dictate how many of those matured assets will be allowed to “roll off” the balance sheet, as opposed to being reinvested. As time goes on, the caps will increase incrementally. What you need to know is that this approach, even if implemented slowly, will undoubtedly cause a passive rise in interest rates, which could be burdensome to the economy. But the real danger comes from a compounding effect between this “trimming” of the balance sheet and the standard rate hike that’s expected next month. Fed officials held off on an official rate increase this month, announcing their plans for the balance sheet in its place. But experts believe the Fed will push rates higher in June. Pushing Markets Until They Fall? So why are Fed officials in such a hurry? One theory: According to Graham Summers, the academics running the Fed have realized President Trump will most likely be firing most of them, so they are now intent on trying to normalize policy prior to their inevitable departures. Another theory: They’re rushing to unravel the web of artificial support that’s been holding the economy together for the past several years because markets seem to be strong and confident right now. This gives them “wiggle room” to backtrack if things start going south again. The Fed exhausted all of its tools and resources to bolster the economy after our last major collapse. And it used its power to keep markets on life support for years — only to get where we are today. But it seems as though Fed officials have finally realized something scary: they’re out of tricks. If the economy takes another nosedive, they’d have precious little tools at their disposal to stop it. This would explain why they’re going full steam ahead to raise rates and trim the balance sheet — so they can slash rates and build the balance sheet back up when the market inevitably corrects again. This month’s FOMC meeting minutes all but confirm that hypothesis. Fed officials went on the record saying they wouldn’t change their plans for the balance sheet (the “stealth” rate hike) until the economy exhibits “material deterioration.” We can only assume they’ll take the same stance in regard to direct rate hikes as well. It’s clear that the Fed will move forward, slowly but surely, with more aggressive measures until markets start reacting negatively. But Fed officials may be overestimating their ability to control the economy when it starts pushing back against their hawkish policies. In a perfect world, Fed officials would have time to back off when the economy turns against them. However, as history shows, markets don’t sit around and wait for policy makers to right their wrongs; the damage is often done long before officials are able to react. Fed officials’ quest to “reload” their cache of emergency policy options by trimming the balance sheet and continuing to raise rates does not have the American people’s best interest at heart. In fact, the central bank’s efforts to prepare itself to handle the next crisis could be the very thing that causes the next crisis. The Fed will keep pushing until it finds the economy’s breaking point. And when that happens, real, tangible assets like precious metals will likely be one of the few assets that prosper. That said, now could be a crucially important time for average savers to protect themselves with gold and silver for financial security.